Zesty and delicious â€“ the perfect accompaniment for poultry. 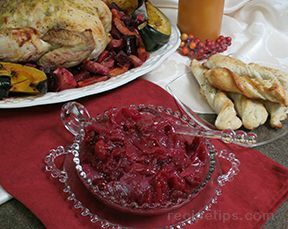 Wash cranberries and discard soft berries. Wash orange and quarter, removing any seeds. 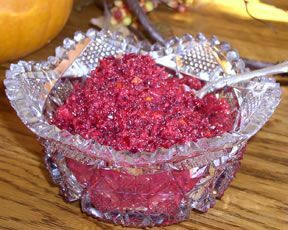 Add raw cranberries and unpeeled orange quarters to food processor. Pulse until all ingredients are chopped very fine. 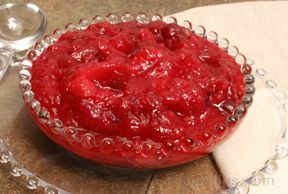 Place mixture in a quart jar or container and store in the refrigerator. Keeps well for up to 5 days. For best flavor, prepare one day before serving to allow flavors to blend. Tip: Serve with turkey or chicken.